I kinda want the XFL to screw with the NFL and go with Warriors. Given the name controversy with the Redskins, I've always thought if they finally dropped it like the Bullets the best transition would be to Warriors. Keep the uniforms and colors. Just change out the logo with a stylized W with a leaf pinned on. I like digging at the NFL and seeing the DC team take that option away would be funny. That said, from a weird standpoint I like Sentinels too - mainly because my wife and I always found Replacements charming. Shane Falco played for the Washington Sentinels (using the Ravens stadium as the home stadium for filming which is funny given Joe Flacco is on that team). But a patriotic name is due. I'd suggest Senators since the Nationals didn't become the third MLB team with the name. Not crazy about but the Washington Justice. Oh, I thought of one just now. The Washington Gavels. Unique. Given SCOTUS and the use of the gavel to bring sessions into order in Congress. Military options work too. The Washington Bombers. I can see a logo using a Stealth Bomber or a classic B-52. Washington Infantry. Washington Grunts. Washington Tanks. 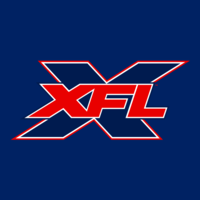 I like the Senators a lot, but I think the XFL is going for something more unique like Gavels or Justice. Believe it or not. Washington Warriors is trademarked by Dan Snyder. He should have already made the transition. I like some of your name suggestions. I like War being in the title but in this day and age of the pc policing. It might be a tough sell. Really sticking it to the NFL is naming The Washington team, the natives or The Americans. Even though those are very generic names. I am partial to Warhorses because of how many statues of them exist in Washington. There’s like 50 of them with all the nations greatest leaders. Even though it doesn’t roll off the tongue great. I am big on alliteration and horse themed names. Just a personal preference. Warhorses is a good one. Guardians.....which is the one I see listed.....would work. An old nasl club used the names "Darts....Whips.....and Diplomats" (same team). Now that everybody in soccer now is the "United"..... they don't need those other ones. I'd strongly urge the XFL to avoid a patriotic theme. It's been done to death in D.C. and will immediately make people equate them to the Arena team. I think they'd be wise to use some variation of black/charcoal and red for their color scheme to match the decor of Audi Field. The stadium is going to be the star of the team in Year 1, so the more you can make it feel like your home field and not just some building you're renting, the better. I don't think you can beat Federals for a team name, but I'm fully aware of all the totally valid reasons you won't want to resurrect a USFL name, especially one of such an inept team. I think it'd be cool to be un NFL and use "DC" as a header......then follow it with a name like "Combat" for you militaristic fans out there. Or is that too pc'd out. Washington Generals? Like the basketball team that jobs for the Globetrotters?